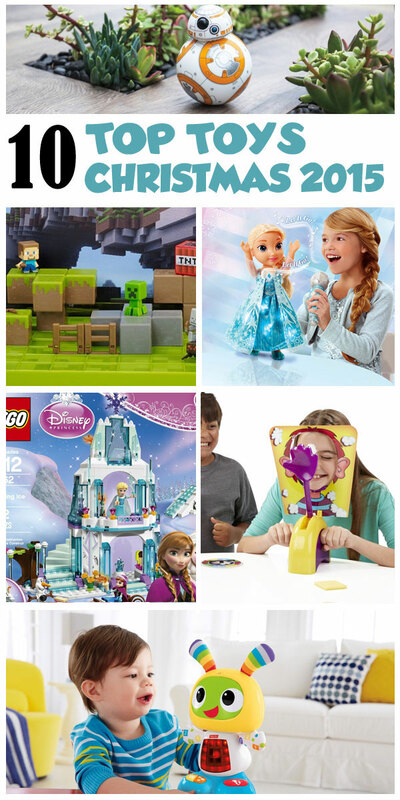 Here is a list of the top 10 Christmas toys of 2015 driven by properties like Frozen, Star Wars, and Minecraft. 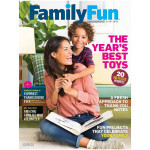 With properties like Frozen, Star Wars, and Minecraft leading the way, the top ten toys of 2016 are being driven by strong entertainment brands. 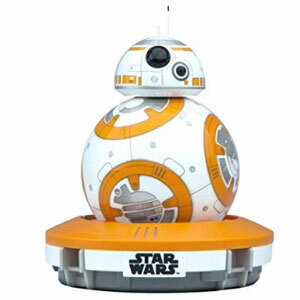 Star Wars toys associated with the new movie, Star Wars The Force Awakens, are going to be huge sellers this year with the BB-8 Sphero leading the way. 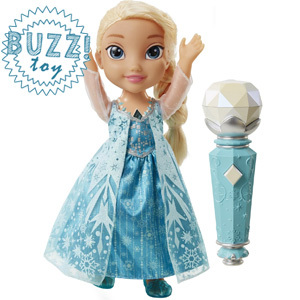 Anything tied to Frozen is still hot with products such as sing-a-long Elsa. Minecraft has shown that it more than little block men running around. The property is all about pushing the imagination of kids and this year kids get to make their own Minecraft movies. While toys with a strong entertainment backing may steal the headlines, traditional play is here to stay. Shopkins has become a craze that has no signs of slowing down. Here is a list of the top 10 toys for christmas 2016. Want to see even more cool toys? 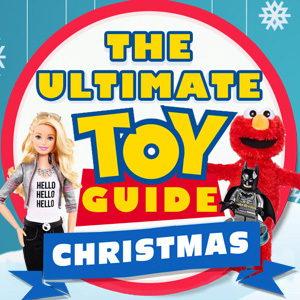 Check out the Ultimate Gift Guide on the top toys for 2016. This might be the most hilarious game ever created. 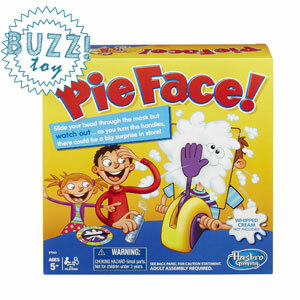 Take Russian Roulette and mix it with pies and you get Pie Face. The object of the game is simple: Try not to get hit in the face with the pie hand. First players load up the pie hand with a lot of whip cream. The more the merrier. Spin the wheel to decide you fate. Then put your head in the pie contraption and twist the little rod the same number of times you spun. With each twist, you have a chance of getting slammed in the face. It’s the perfect gift for Christmas. Now is this for kids who have been naughty or nice. It’s got Lego! It’s got Frozen! How would you like to build a sparkling Ice Castle like Elsa? You don’t need magic. All you need is this set of Legos. Frozen fans will love this 292 piece Lego set that includes Elsa, Anna, and Olaf. Get up and dance with Beatbo! This is no ordinary robot. This adorable and colorful robot is designed to get little ones dancing and moving. He’s smart robot too as he’ll introduce even little ones to abcs, colors, and numbers. 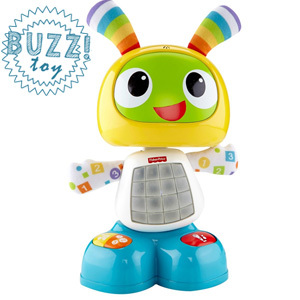 Little ones will love pressing all his little buttons to watch him sing and light up. The best part? He records your voice and plays it back in a danceable beat. It’s too cute. What girl doesn’t love singing “Let It Go!” Every girl last year was asking for an Elsa doll that could sing the whole song. The wait is finally over. Meet Sing Along Elsa. She not only sings the entire “Let It Go!” song but she also includes a microphone so girls can sing along in a duet. The doll recognizes when the microphone is placed near its lips. Move the microphone away and the song continues but Elsa stop singing. How awesome is that? This large size version of Elmo has never felt more alive. All you have to do is squeeze his nose to make him come to life. 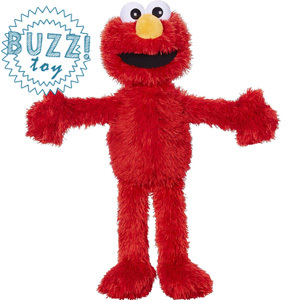 With over 150 responses, Elmo will ask kids to pick him up, jump, and even turn him upside down. Kids can tickle his tummy, cuddle him, and play pat a cake with him. The coolest part? When you jump with him or clap his hands he makes fun sound effects like boing boing. He’s like a new best friend. How would you like to direct you own Minecraft movie? 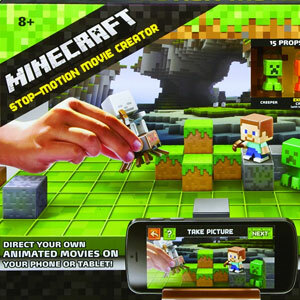 Now anyone can make their own stop motion Minecraft animation video with this kit. The only thing you need is a mobile device. You can direct the entire movie from your phone or tablet using the app. The set includes 15 props and 4 minifigures. You get Steve, a green Creeper, an Orange Creeper, and Spider Jockey. Minecraft fans will love creating their own Minecraft videos. Not just 8 year olds will love it, but it is also one of the coolest toys for 12 year old boys. Just like the game, it lets children’s imagination explode in a completely new fun way. Who doesn’t want to watch the new Star Wars movie? 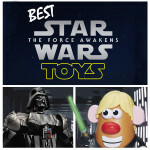 Every Star Wars fan is going to want this toy for Christmas even 13 year old boys. 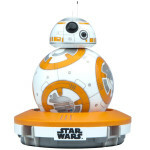 This BB-8 Drone looks like it came straight out of the new Star Wars movie of 2015. The coolest part? He behaves just like him too nodding, disagreeing, and babbling. It’s super fun to take control of him. With the app you can pilot him around sending him on his own missions on earth. May the Force Be With You this Christmas. Who doesn’t love Scooby Doo? Scooby Doo and Legos! Are we dreaming? Scooby Doo and his pal have all turned into Legos. This set includes 4 minifig versions of Shaggy, Scooby, Fred, and some zombie dude. 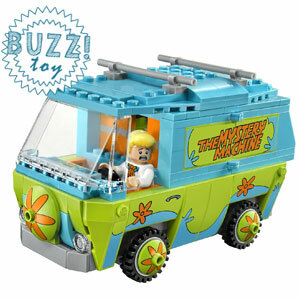 With 301 pieces, kids will build the Mystery Machine. The back doors even flip open and the roof comes off so you can see inside. How awesome is that? What Scooby Doo fan wouldn’t want this on Christmas morning? 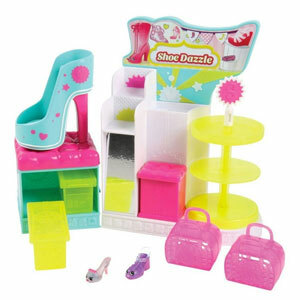 Shopkins and shoes! Do we need to say anything else? What girl doesn’t love shoes and Shopkins? This set comes with both of them. You get 2 little cute Shopkins shoes, 2 shoeboxes, 2 shopping bags, and a cool spinning display stand. There are a bunch of places for storing your Shopkins. It’s like a little shoe store for Shopkins. The only problem? Girls are going to want to collect more Shopkins. Science just got even cooler with the Ultimate Lab kit from Project Mc2. With a fashionable case that zips open, this science kit is designed with girls in mind. There is so much of fun to be had inside with 15 different experiments. It even includes a little microscope. How awesome is that?